Our unconscious mind is where our identity exists and our identity was created when we were growing up to keep us safe and secure so that we could survive. However, now that we’re adults, our identity severely sabotages our true potential by unconsciously creating resistance. Your identity is made up of your limiting beliefs, assumptions and definitions, which you have accumulated from the past. And this is where your thoughts and feelings come from. The problem is that you have been educated at school and personal development seminars to use your thoughts and feelings to make decisions, which determine the actions you take and the life you create. Your thoughts and feelings are a reflection of your past and so if you continue to rely on them to make decisions, you will simply be recreating your past. Hence, your identity is sabotaging you from what you want, limiting your full potential and creating a compromised life. Our superconscious mind is where our genius exists which includes our innate abilities like intuition, imagination and highest levels of creative frequency. Our genius includes our natural talents and gifts that when unleashed will empower us to create anything we want. Join us for this workshop to learn more about how to stop your identity from sabotaging you, and the keys to unleashing your genius. Our speaker is… me! 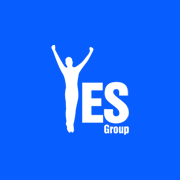 Filip Roeckens, chairman of Yes Group Belgium. After a 10 year journey in personal development, learning a lot but still struggling to create what I really wanted, I came accross Natural Success. At first, I thought it would be nothing new. I did not want to attend yet another seminar! I’m glad I went to check them out anyway; the first workshop really resonated with me as it confirmed some of my own conclusions, and the second workshop blew my mind. I’ve been hooked ever since, doing all the levels of the curriculum and now working towards my accreditation as a Natural Success coach.